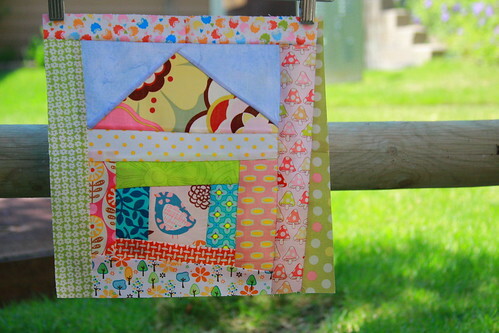 It is so much fun to sew together all the quilting bee blocks that I get. 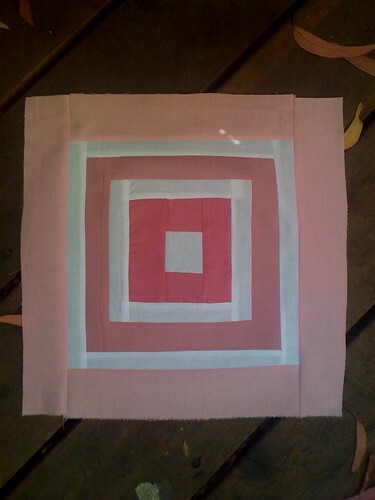 There is usually 5 -6 blocks a month for me since I am in 3 quilting bee's. I am learning so many new blocks to make and expanding my knowledge. 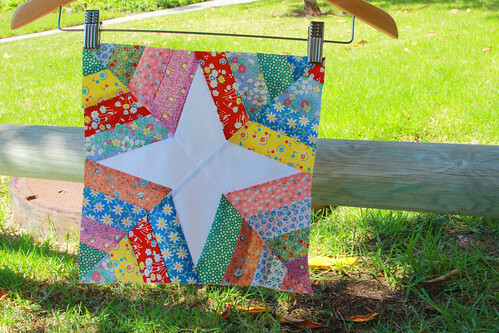 Cottage Quilting Bee for August. We were asked to make a house block so I made a log cabin house block. Pieced Together Quilting Bee for August we were sent the pattern for a Drunk Love block, from Denise Schmidt's pattern. I love the squares within square look. The September block for the group was a Spiderweb block. This was my 3rd time making one of these and it just gets faster and easier each time I make one. They can be really fun. This Circle block was one from July that I am really late into getting out. I left it in Utah when I was visiting my BFF Erin. She then had a baby and so it took some time to get back to me so that I could sew it. Hopefully it was worth the wait for Edith. 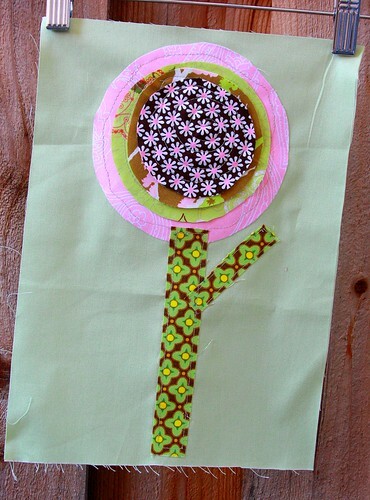 I layered and appliqued the circles and then used my darning foot to stitch circles within the circles. I LOVE this look and I am into trees lately even though Edith only asked for circles I found a tree block in her inspiration pictures. 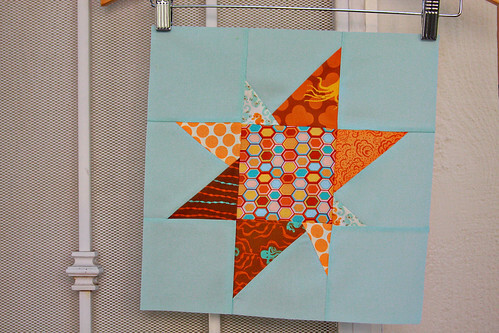 Sew Connected 3 September block was a Wonky Maverick Star. This was my first time making this one and they are really fun. I love the colors of this block to. All so pretty! I love the circle tree. Beautiful blocks! The best way to expand our knowledge is trying many things, you have certainly got that covered! You're such an inspiration! I just found your blog and I'm so glad I did. I love all of your quilts. They're inspiring. I'm still building up the courage to start a larger quilt. I've done doll quilts and am cutting for a smaller lap quilt. I'm afraid I'll ruin a big one and waste all of the fabric. Anyway, you're inspiring. Great blocks! All diferent and all beautiful!